John Palmer was a keen gardener and nature lover. He took a great interest in wildlife, including building homes for hedgehogs. He also loved watching all types of sport, while he brewed his own beer. He enjoyed baking and producing jars of pickled onions. John took early retirement in 1995 at the young age of 48 after working on the river from the age of 15 with the Port of London Authority (PLA) joining the crew of the survey launch ‘Havengore’ as the junior hand. He was very proud to have been part of the crew when the ‘Havengore’ carried Sir Winston Churchill’s coffin up river after his funeral in 1965. John first came into contact with ellenor after he was diagnosed with terminal cancer and underwent his first round of chemotherapy. This left him unable to do anything outside, without his family accompanying him, but after being introduced to ellenor, the team arranged for handrails to be fitted by the steps in his front garden so he could enjoy some independence once again. “This gave him more confidence to leave the house unaccompanied and lead to him becoming more independent,” says Margaret, John's sister. 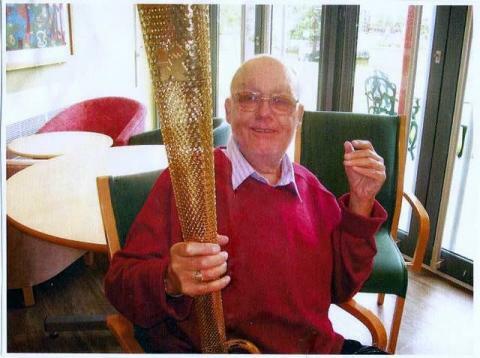 John began attending Day Therapy weekly at ellenor Gravesend, something which Margaret says was a ‘real life changer’. Margaret says that John very much enjoyed his lunches and would text her and her daughter Sharron to let them know what was on the menu that day. At the end of his life, a place was found on the ward at ellenor Gravesend for John.